A few months ago in one of the groups I follow on Facebook someone posted these Real Techniques Pro Metals Dupes that they had purchased on Ebay. 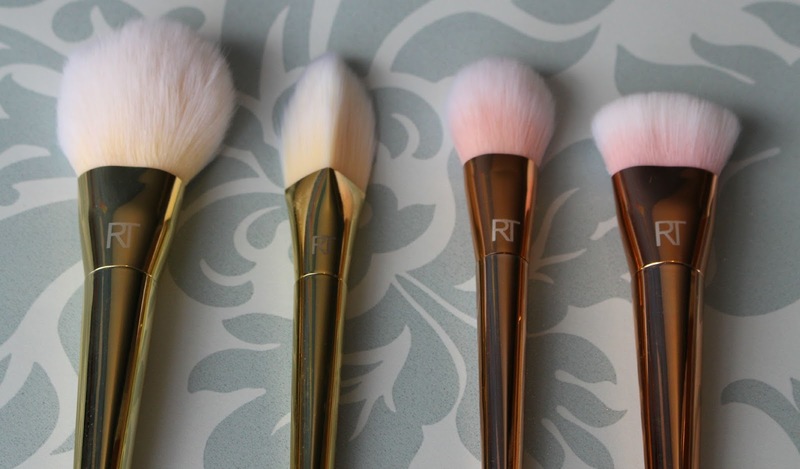 The thing that interested me the most about them was the price point, these brushes come in at about £5 per brush, whereas the real brushes retail between £10-£25... 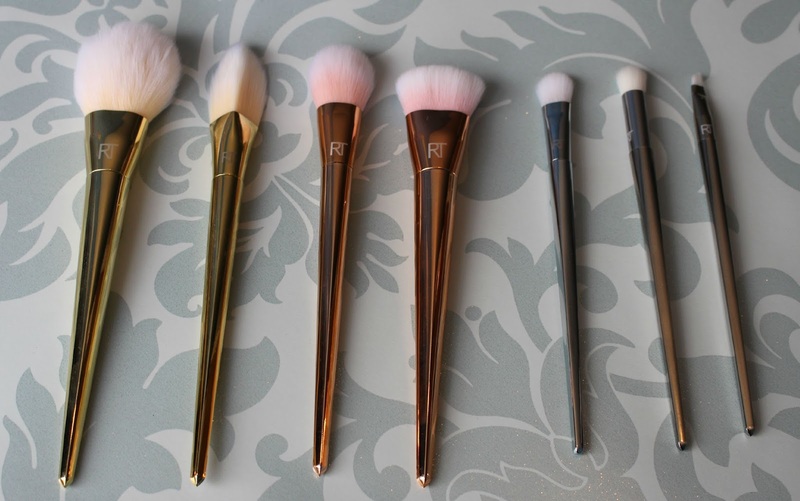 The full set of Pro Metals brushes would set you back £130! Whereas these dupes cost me £33 for all 7, a considerable difference. From Left to Right: Arched Powder Brush, Triangle Foundation Brush, Tapered Blush Brush, Flat Countour Brush. I personally don't own any of the real Pro Metals brushed so I have nothing to compare these with, but I am honestly very happy with them so far. I'm guessing one of the biggest difference between these and the real thing is that the handles of these are plastic, whereas I assume the real ones are metal! The piece that holds the bristles is metal, but the rest is plastic, but they still feel very sturdy, and nice to hold. The bristles themselves are lovely and soft, and I haven't experienced any shedding with them as of yet, which I had expected seeing as these were so cheap. Normally I would not recommend buying cheap remakes of makeup, especially with things that you are going to be using on your face an eyes. Often these can have harmful ingredients in them due to the cutting of costs etc. and you certainly wouldn't want to put them on your face. However I think in the case of brushes it's a different kettle of fish as it's highly unlikely that they will contain harmful ingredients. Often they are also made in the exact same way as the real thing, they just don't carry the name, and therefore not the higher price tag. 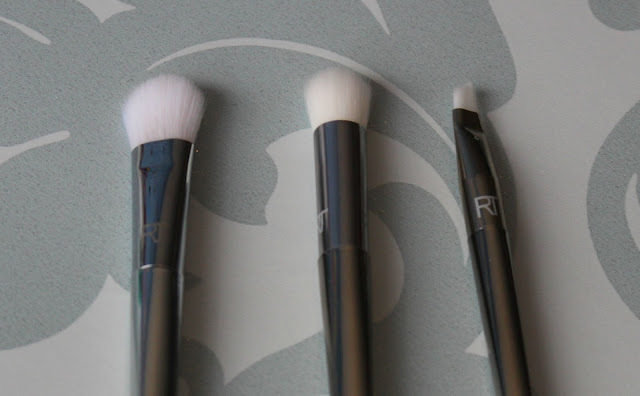 I know there is a lot of divided opinion when it comes to buying 'knock offs' but in this case I personally see no problem, and I will definitely be purchasing some extra's of these brushes. If you would like to get some you can find them on Ebay here. Have you got any of these brushes? If so which is your favourite?